Generally, when a beginner start to learn to play guitar, he tackles open chords (up the guitar neck), those found in many popular songs. 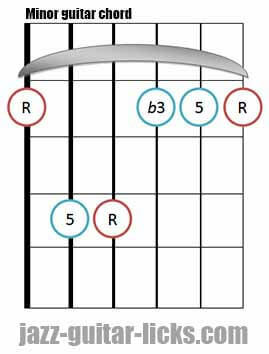 Then, come the bar chords (major, minor, dominant 7) a little hard to master. But all these chords do not have a very interesting sound and are not mostly used in jazz music. 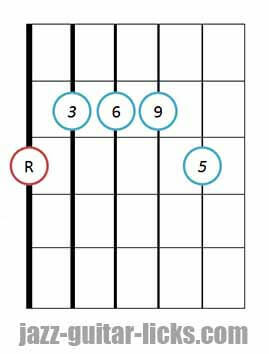 That's why in this lesson for jazz beginners we will take the main basic guitar bar chords to transform and enrich them so that their sonority is richer, exciting and better suited to jazz concept. How to make a basic major guitar chord sound more jazzy ? Let's start with Major chords which are basically made up of a root (1), a major third (3) and a perfect fifth (5). These three notes are considered as the "skeleton" of the chord. 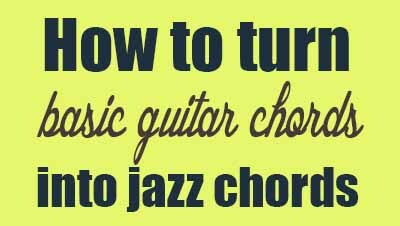 The first thing to do when you want to make a basic chord more "jazzy" is to add the seventh. Then, the triad becomes a tertrad chord that is actually a set of four notes. Example with C major. It is also possible to replace the seventh with the sixth, this would give a major sixth chord and eventually add extensions as the 9, 11 and 13 to these chords. The possibilities are numerous. The diagrams on the left represent the common shapes to play major bar chords on the guitar. You can notice that there are the three tones (root, major third and perfect fifth) that a major chord must have in its composition. Some of these tones are repeated, the root (R) and the fifth (5). That makes powerful chords not highly desired in jazz, that's why we have to make some changes in order to highlight the most important notes of the chord. The lower fifth (5) is left out and the major seventh (7) in place of the second root. Needless to overload the chord with a second root. This way we get a major 7th chord. 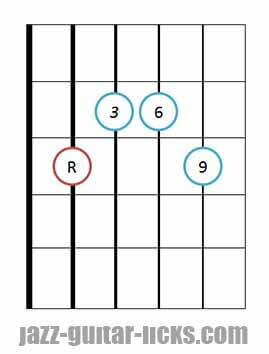 Major 6 chords (diagram 3) are very played in jazz music and works generally very well in place of any major chord. No big difference with major 7 chords. The sixth (6) is simply played instead of the seventh (7). 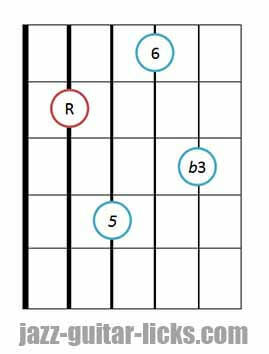 6/9 voicings offers a very interesting sound. They are very cool because they have a more ambiguous and rich sound. 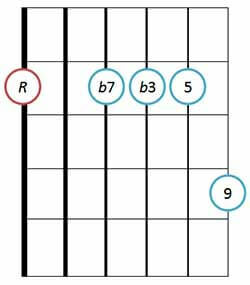 These chords are great for substituting major chords. The second root is replaced with the seventh and the highest is left out. 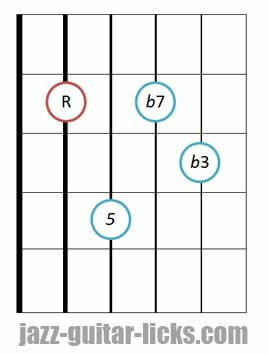 We get a major 7th chord with the root on the fifth string (diagram 6). The seventh is replaced with the sixth (6), giving a major 6 chord. (diagram 7). The fifth is left out and the ninth is added. (diagram 8). 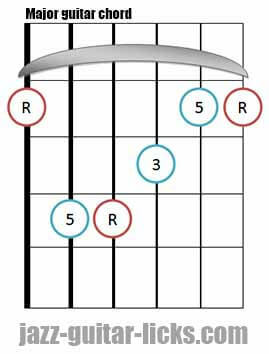 This is a 6/9 chord. 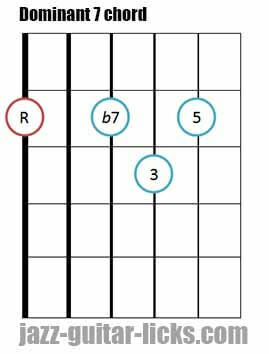 How to turn a basic minor chord into a jazzy chord ? Minor chords also contain three notes : root (1), minor third (b3) and perfect fifth (5). These tones constitute a minor triad. 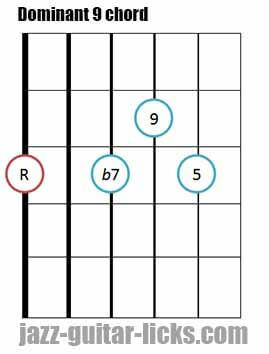 Like major chords you can add the seventh, the sixth and even extend them with the ninth, the eleventh and the thirteenth. 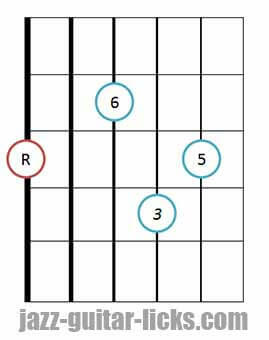 Diagram 2 : The lower fifth is left out, that gives a minor 7 chord. Diagram 3 : The seventh is replaced with the sixth (minor 6 chord). Diagram 4 : It is simply the minor seventh position previously seen with a ninth added. 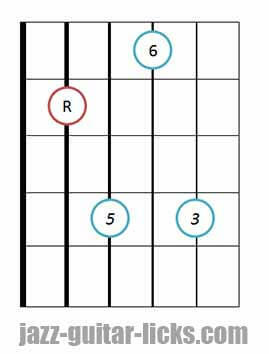 Diagram 5 : Basic bar chord. 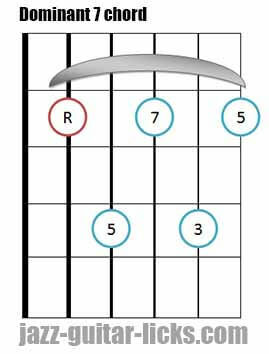 Diagram 6: This is a minor seventh chord, the second root and the higher fifth are left out against the bar position. Diagram 7 : The minor seventh (b7) is replaced by a sixth (6). 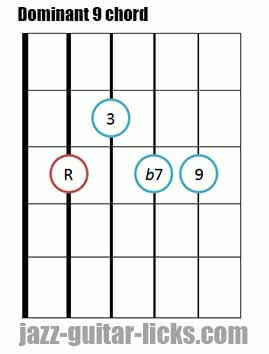 Diagram 8 : Minor 7 and ninth to get a minor 9 chord. How to make dominant 7th chords a little bit jazzy ? 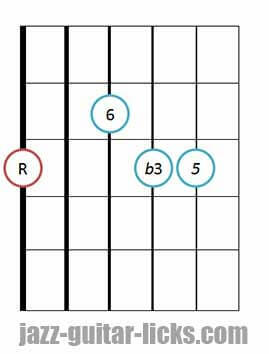 Dominant 7 chords are major type chords, they consist of a major triad (1-3-5) with a minor seventh (b7). 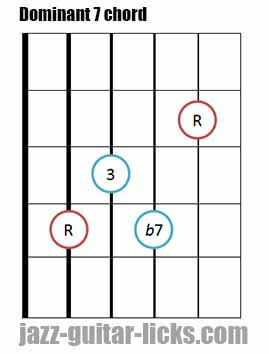 These are the chords that accepts the more extensions. as 9, #9, b9, 11, #11 (b5), #5,13, b13. In this article, we will dwell on 9 and 13 extensions. 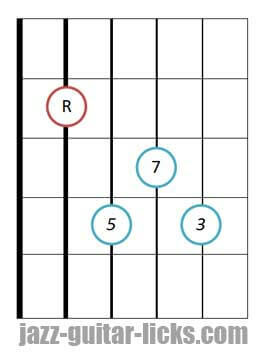 Diagram 1 : Basic dominant 7 bar chord. Diagram 2 : This shape contains the four needed tones of the dominant 7 chord. Diagram 3 : This is a dominant 9 voicing. There is no third, it is replaced with the ninth. 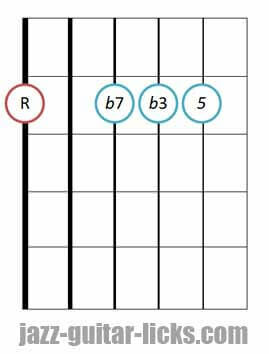 Because theoretically there are five tones in ninth chords, it is difficult to play all of them on the guitar. Leave out the third is not necessarily the best solution, you can try to leave out the root as explained on this page and keep the third instead. It's your choice. 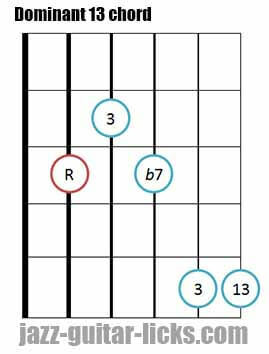 Diagram 4 : Dominant 13 chord shape including a minor 7 (b7), a third (3) and a thirteenth (13). 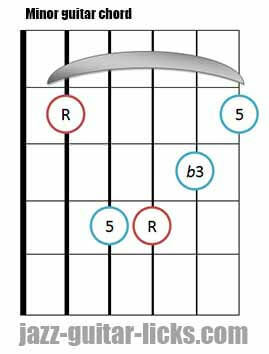 Diagram 5 : Basic dom7 bar chord. 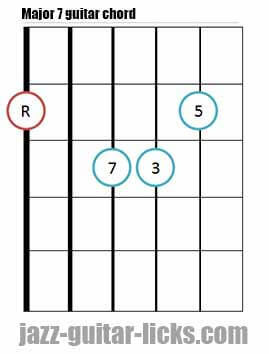 Diagram 6 : Dominant 7 chord with no fifth. 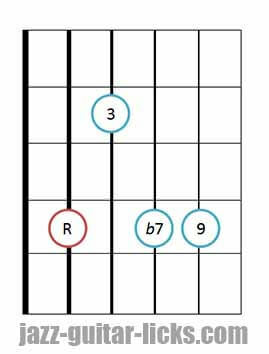 Diagram 7 : Dominant 9 chord, no fifth again. 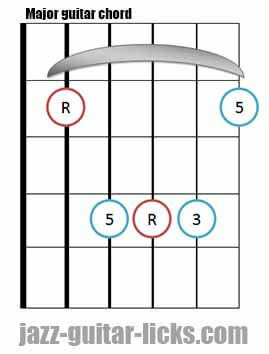 Diagram 8 : Dominant 13 chord with no fifth once again. As you will have noted, the fifth is not the most important tone. 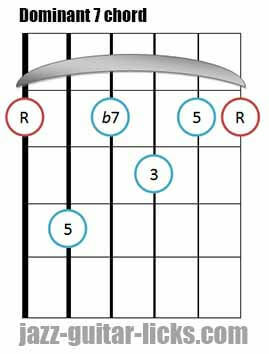 This theory lesson with guitar chord shapes, tabs and YouTube videos explains what are chords in fourths. How they are built, how to harmonize the major scale with and how to use them in comping in the style of McCoy Tyner. 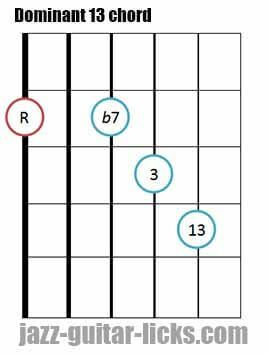 This free lesson provides 15 basic jazz guitar chord positions that every beginning jazz guitarist should know.